There is no dessert more suitable for our hockey loving Canadians then our decadent Hockey Pucks! 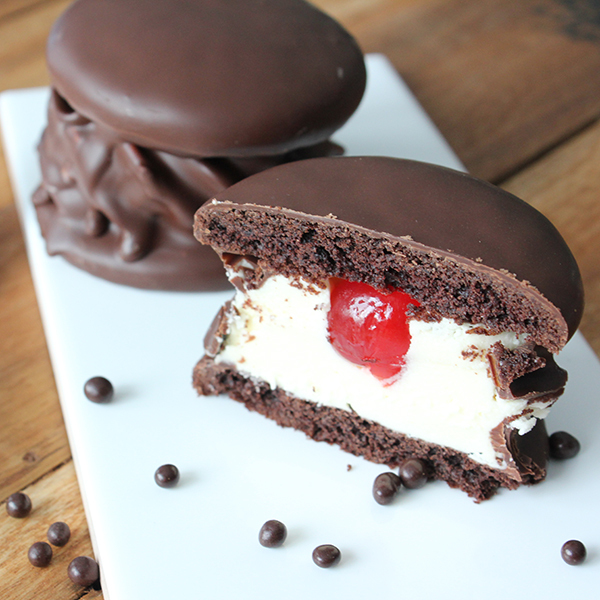 Whipped icing carefully packed between two chocolate cookies, with a cherry centre and wrapped in a hard shell chocolate. Maybe there are some things that can draw hockey lovers eyes away from the tv screen!